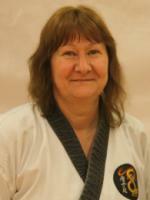 Meet the Masters & Instructors of Dragon Tang Soo Do. Click on the profiles below to see more info. 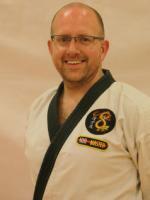 Master White has been studying Tang Soo Do since 1986 under the tuition of Master David Perks. 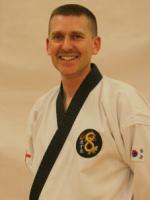 He received his 1st Dan in 1992 which is when he started teaching. He received his 4th degree Masters Rank in June 2003, 5th Dan Master in June 2008 and awarded his 6th Dan Master in February 2015 by Master Viv Thomas 7th Dan. 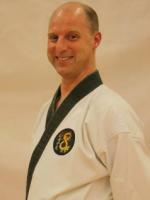 Master White has trained many students to Black Belt, some of which have gone on to be Instructors themselves. He has also produced many Junior, Senior & Team Grand Champions. He has won many trophies himself, competing at Local, National, European and World championship levels. This includes 2nd and 3rd in the World Championships (USA), 3 times consecutive European Champion, British Grand Champion and two Firsts in the Masters division of the 2010 Dragon Tang Soo Do Open Championships. Master Ward started practising the Martial Art of Tang Soo Do in 1985 at the age of 21 under the tuition of Master Kim Tong Mun. 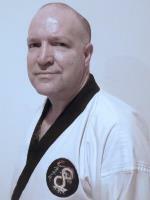 Master Ward’s main fields of expertise are self defense, the continual development of all practitioners (including himself), forms (Hyungs/Kata’s), weapons, self-defence, breaking techniques, physical fitness and getting the very best out of all who practice Tang Soo Do. 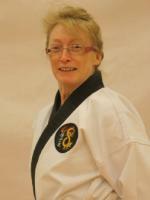 Charlie Rossiter is a 4th Dan Master in Dragon Tang Soo Do, and she is also a Black Belt in Kickboxing, which she has studied since 2002. Charlie has also been certified by CYMCA for Circuit Training, Gym Instruction and Basic Nutrition. 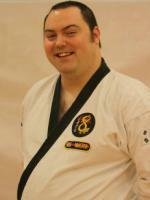 Charlie has been practicing Tang Soo Do since 1992 and has been teaching in Thornbury since November 2001. The club is suited to all ages from 5 years upwards and has a seperate childrens and adults class. Thornbury Club offers a friendly training environment as well as a very disciplined well structured class. Profile text for Master Chris should be added soon. If you have any questions, of would like to contact Master Chris, you can still do so using our Contact Us pages. 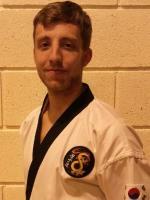 Mark started Martial Arts training at the age of 9. He first joined a Full Contact Japanese style called Kyokushin Kai, but after a short while he realised this wasn't for him. So he spent several years hopping from style to style, including Hygashi, Tae Kwon Do, Judo and others. 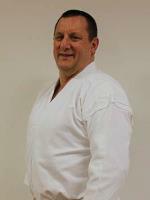 He started Tang Soo Do in 1990 at the age of 17, under Master Zamperelli. 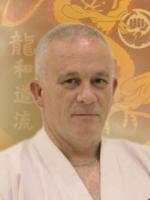 At the age of 19, due to career committments, he changed Instructors to Master Ward, where he has trained ever since. In recent years he has also trained in many other styles including Shaolin Kung Fu, Kickboxing, Hygashi, Aikido, Boxing and Haidong Gumdo (Korean Swordsmanship). 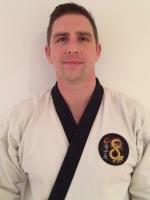 Mark believes it is very important to experiment with other styles, as this helps develope the practioner into an all round Martial Artist. 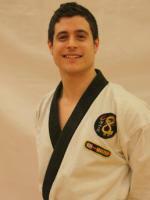 Around the same time as starting Tang Soo Do, he started weight training and learning about nutrition. This is another passion of Mark's; and much of his spare time is devoted to improving his fitness and all round strength. 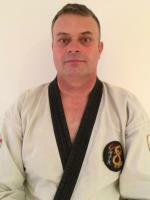 Mark is the Instructor for the Chipping Sodbury club, which he opened in the year 2000 after receiving his Black Belt. 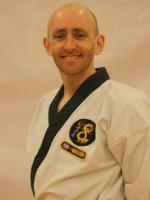 He has a great passion for teaching and giving his knowledge to anyone who trains under him. 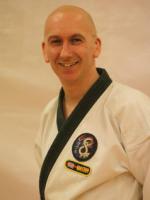 He offers a disciplined but friendly training environment, where his aim is to make students the best they can be in all aspects of Tang Soo Do. Since the club started, many of his students have won trophies in all disciplines of competition at both Local and Open tournements. 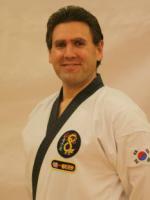 Master Long started training in the art of Tang Soo Do in 1997 at the age of 15. He has also studied and achieved grades in various martial arts including Judo, Tai Chi and the Korean sword fighting art of Haidong Kumdo. 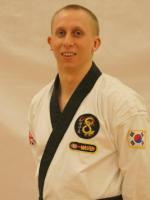 He continues to research and develop Tang Soo Do techniques in regard to their application and physical dynamics. 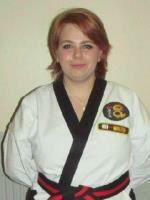 Master Long enjoys all aspects of our large Tang Soo Do syllabus and encourages students of any grade to remember 3 key areas to aid them in their studies; Discipline, Dexterity, and Determination. Profile text for Master Zoe should be added soon. 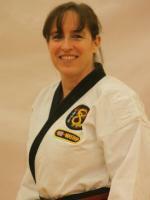 If you have any questions, of would like to contact Master Zoe, you can still do so using our Contact Us pages. Profile text for Master Wayne should be added soon. If you have any questions, of would like to contact Master Wayne, you can still do so using our Contact Us pages. Profile text for Master Kristie should be added soon. If you have any questions, of would like to contact Master Kristie, you can still do so using our Contact Us pages. Profile text for Master Lauren should be added soon. If you have any questions, of would like to contact Master Lauren, you can still do so using our Contact Us pages. Profile text for Master Ryan should be added soon. If you have any questions, of would like to contact Master Ryan, you can still do so using our Contact Us pages. Profile text for Master Charlotte should be added soon. If you have any questions, of would like to contact Master Charlotte, you can still do so using our Contact Us pages. Profile text for Master Warren should be added soon. If you have any questions, of would like to contact Master Warren, you can still do so using our Contact Us pages. Profile text for Master Carolyn should be added soon. 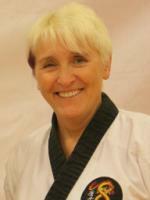 If you have any questions, of would like to contact Master Carolyn, you can still do so using our Contact Us pages. Profile text for Master Richard should be added soon. If you have any questions, of would like to contact Master Richard, you can still do so using our Contact Us pages. Profile text for Liz should be added soon. If you have any questions, of would like to contact Liz, you can still do so using our Contact Us pages. Profile text for Gill should be added soon. If you have any questions, of would like to contact Gill, you can still do so using our Contact Us pages. Profile text for Kelvin should be added soon. If you have any questions, of would like to contact Kelvin, you can still do so using our Contact Us pages. Profile text for Shelly should be added soon. If you have any questions, of would like to contact Shelly, you can still do so using our Contact Us pages. Profile text for Georgina should be added soon. If you have any questions, of would like to contact Georgina, you can still do so using our Contact Us pages. Profile text for Dave should be added soon. If you have any questions, of would like to contact Dave, you can still do so using our Contact Us pages. Profile text for Stuart should be added soon. 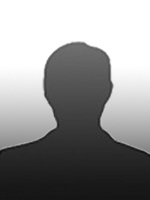 If you have any questions, of would like to contact Stuart, you can still do so using our Contact Us pages. Profile text for Paul should be added soon. If you have any questions, of would like to contact Paul, you can still do so using our Contact Us pages. 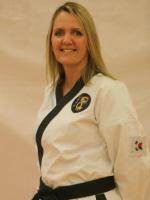 Corin started learning Wado Ryu karate in 2003 and apart from short breaks when having her children has trained continuously since. 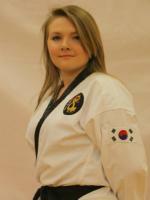 She has competed in both local and national competitions with particular emphasis on team forms and kata. 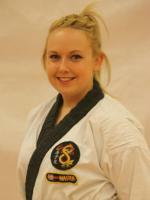 Corin is keen to pass on her own learning to others and enjoys coaching as a natural progression as a Dan Grade. 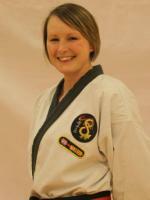 It’s very much a family affair with Corin now teaching and training at the club alongside her own son and mum.